She's Fantastic: DC Collectibles - ROLLER GIRL HARLEY QUINN! The sculpt by Dave Cortes is beautiful. He is the artist behind many amazing toys in my collection, my favorite being his Hellboy series by Mezco. Harley's ponytails are made of a really soft rubber and are stationary on her head (as opposed to some of the articulated ponytails we've started to see in recent years). You can make them flare out a bit by propping them against her shoulderpads. Her shoulderpads can swivel up on top of her shoulders or down on the sides (like in this photo). 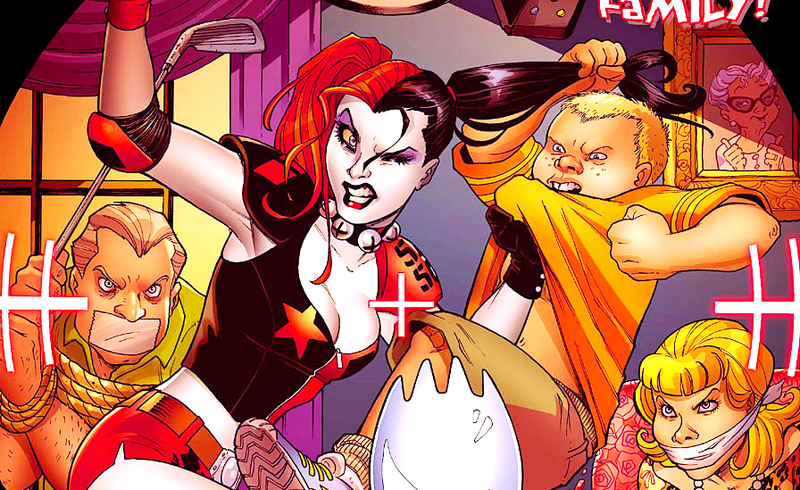 Harley comes with her signature Hammer, two Roller Skates, a Handgun, and a Jingle Bell Choker (yes, it's removable). I actually prefer her without the choker. I wish it rode lower on her neck. The rollerskates snap on tightly. I really like them as an accessory. I was a little surprised the wheels actually roll - that makes it kind of tough to pose her. 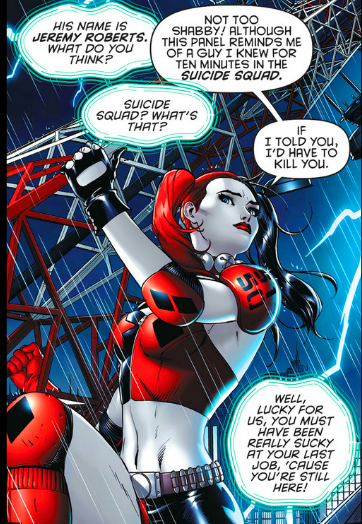 Harley is pretty light in the articulation department. If she had some ankle joints and some thigh cuts, she would be perfect. A torso joint and swiveling ponytails would be nice, too. Her handgun fits snugly in her holster. 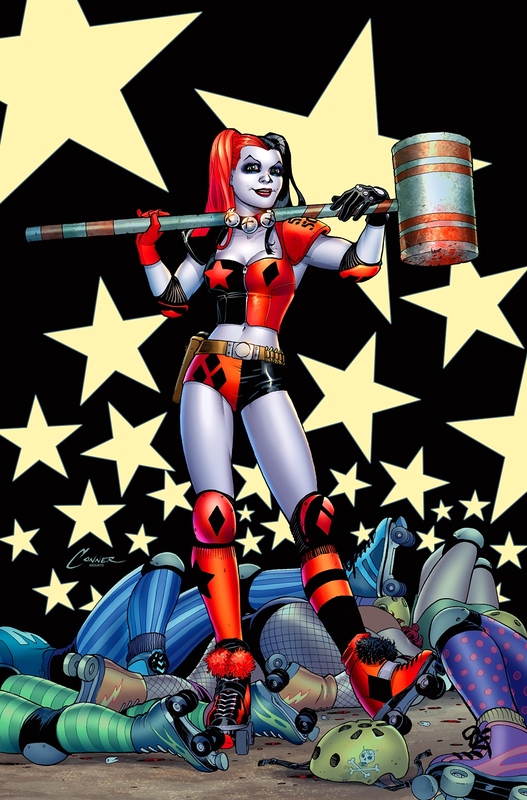 Her mallet is pure silver in the solicit images and is silver with red details in the comics. This final metallic red hammer is out of left field. 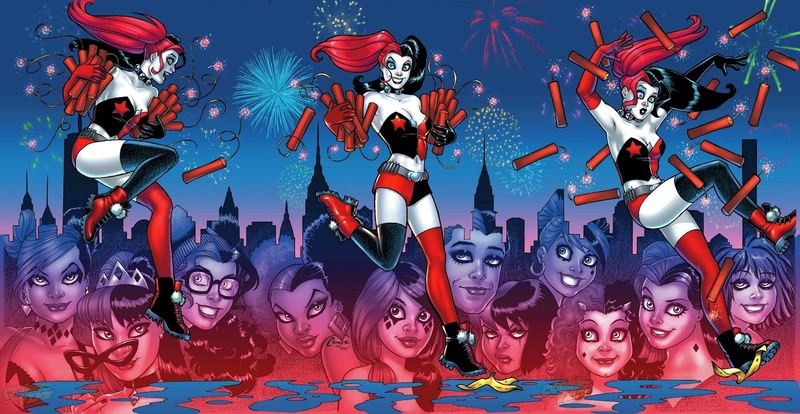 Here are some images of Roller Harley from the comics. Here she is with two recent DCC Harleys: Arkham Knight and Suicide Squad. she looks great. its out already? great review as always. I'm gonna need to get this one! She's great. The prices on these DCC figures keep going up, but in these cases it's definitely worth it. Just got her today, i love her. I quite like the face etc, in fact looks awesome. Just ordered the new Ivy too...cant wait. Glad she arrived! I'm quite fond of this lady myself, but I prefer Ivy a little bit. You'll be impressed when you get her in hand. The head sculpt is a disappointment for me at least; way too much chin. I keep hearing all the Jay Leno references to this face sculpt, but I just don't see it. I think a smaller chin would make her look deformed. Although I'll withhold my judgement until I see a customized one. I'm sure there's one out there. Just curious; how did you manage to remove the choker? Sorry for the delay! My Harley's head popped off really easy. Then the choker just slid upward. Good luck! I would say this Roller Girl version is better. The articulation, sculpt, and overall design in superior in my opinion.